For many, chocolate and good design are the two fine pleasures of life. 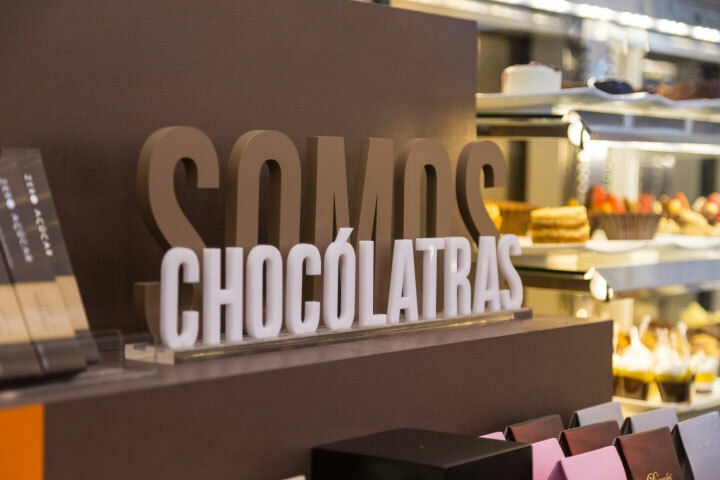 Created by Studio Cinque, an architecture and design studio in Porto Alegre, Brazil, the Chocólatras kiosk built in the city’s largest mall, Shopping Iguatemi, offers both. 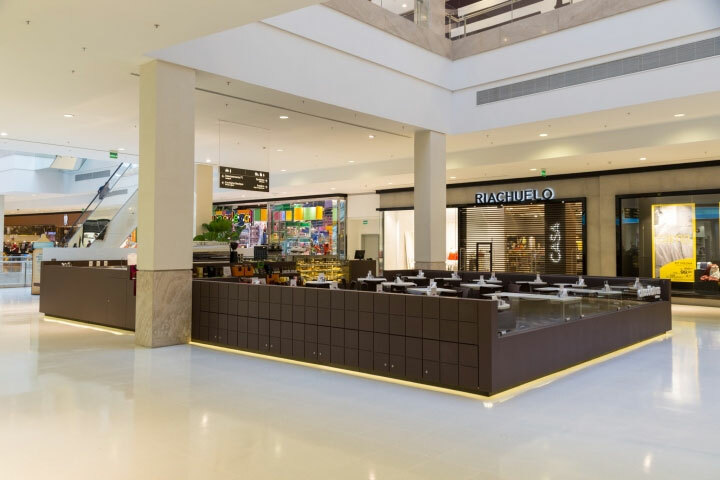 While the designers acknowledge that one of the project challenges was to adapt the specific requirements of the kiosk to the height restrictions of the mall, the horizontal layout seems to have worked very well for them. The result is a spacious structure, with almost two thirds of the allotted space reserved for a comfortable and attractive seating area. The design is all about chocolate and doesn’t make any secret about it. 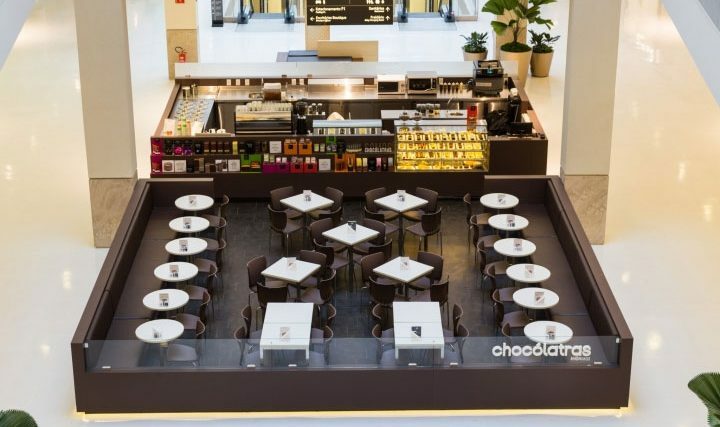 Around the perimeter of the seating area, engraved rectangular panels in the shape of chocolate bars bring images of tempting delights to the mind of chocolate lovers and engage their senses even before they decide to stop at the kiosk. 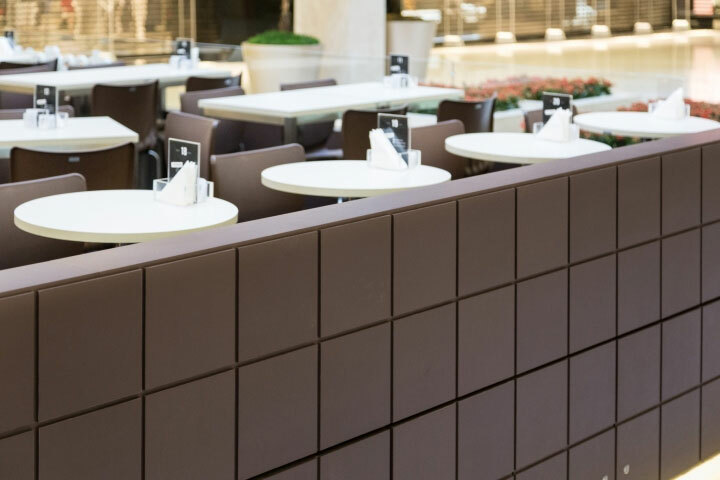 The colors of the surrounding panels continue into the seating area and remain true to the world of chocolate. White tables contrast with brown chairs whose monochromatic design and seamless shape seem to suggest oversize chocolate figurines. 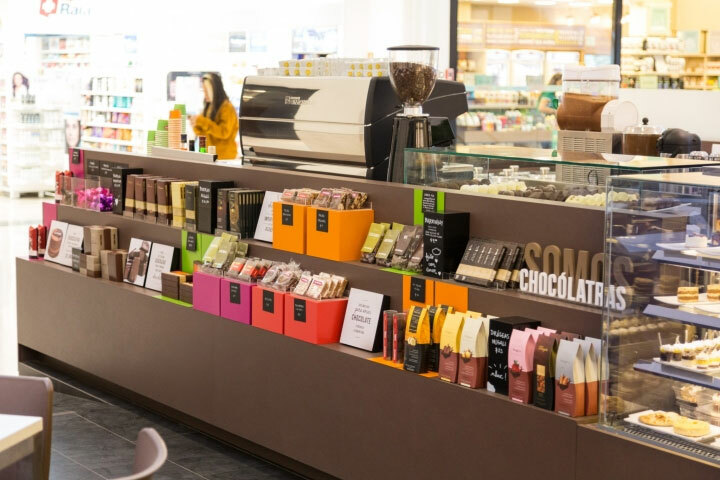 Even the colorful products displayed for sale integrate well into the theme of the kiosk, evoking the tidbits of fruits, walnuts or spices found in fine chocolate. 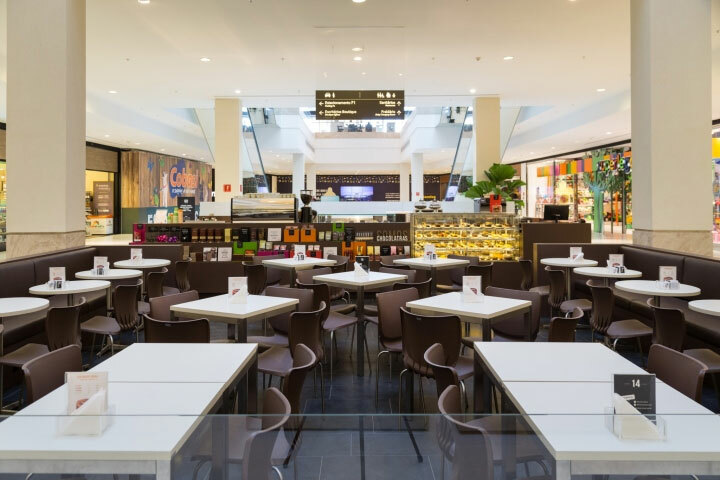 While the seating area is designed to allow for easy movement, the same accessibility idea is taken to the display area, where products are lined on exterior shelves and are easy to reach and handle by customers. 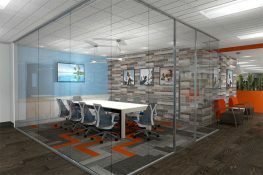 This design responds to the modern taste for speed, especially in a mall, where customers experience no shortage of external stimuli and where their attention span tends to shorten. The invitation to take part in this sweet culinary experience is emphasized not only through colors and design, but also with written calls to stop and satisfy the chocolate urge.